This past week’s Silverdale Chamber of Commerce President’s Luncheon was yet another huge success. Even amidst the current economic challenges, local area businesses are finding great value in joining the Chamber and attending its various functions. Perhaps one of the most valuable aspects of the Chamber’s activities is recognizing and honored local educators within the Central Kitsap School District and bestowing their ‘Excellence in Education’ awards. Such was the case this past Wednesday. Longtime Central Kitsap School District Educator, Robin Campbell, was the honored recipient this month. With over 30 years of service to CKSD, Robin Campbell has functioned in a number of capacities, including: elementary teacher, learning specialist, district testing coordinator, high school math teacher, online teacher, athletic director and baseball coach. Currently, Robin serves as coordinator of the Eastside Alternative High School Program, where he demonstrates tremendous energy and innovation in the classroom, infusing his students with tremendous motivation and instilling in them a desire for the joys of learning. Robin received a heartfelt standing ovation by the Chamber members in attendance. Central Kitsap School District is proud of its long-standing reputation for extraordinary staff and is pleased to congratulate Robin Campbell for this much-deserved award. A time honored tradition here in Silverdale WA has been the unofficial party that takes place at the Silverdale Waterfront Park each June when schools let out for summer. 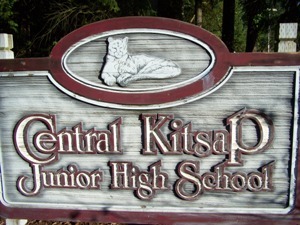 Local law enforcement and Kitsap County Park officials have historically expressed concerns over the safety of students who participate in this unsupervised event. Kevin is on staff with the local youth ministry of newlife church and helps lead/coordinate 50 youth leaders and over 300 students. Kevin conceived a vision where this unofficial year-end party could evolve into a much larger, safer, and more enjoyable celebration for area students. The day began at 7:30am when dozens of newlife volunteers arrived to setup the stage, tents, and concession areas. By Noon, a steady stream of kids began to show up. Another dozen or so additional volunteers served as security patrol, helping to supplement two Kitsap County sheriffs who were contracted for the event. The Party@thePier lasted until just after 8pm and went exceptionally smooth, thanks to all the hard working volunteers and event staff. A special word of thanks to Kevin Pentz, Donovan Pinegar, Eric Trudeau, Ben Jacobson, Gordon Sound, and Kitsap County Parks Supervisor Dori Leckner for helping to make this such a successful event. Look for an even bigger and better Party@thePier event in 2011! I curious, what are the genuine, intellight ‘pros’ and ‘cons’ to the incorporation of Silverdale? I realize that incorporation naturally brings with it the added tax burdens associated with city government, administration, and related services. Given our current economic conditions, the idea of any additional taxes is going to be a really tough sell. Aside from that, what other negatives are there? What is the County currently providing or not providing that incorporation would do better for the residents of Silverdale? What’s Missing in Silverdale’s Retail Offering? 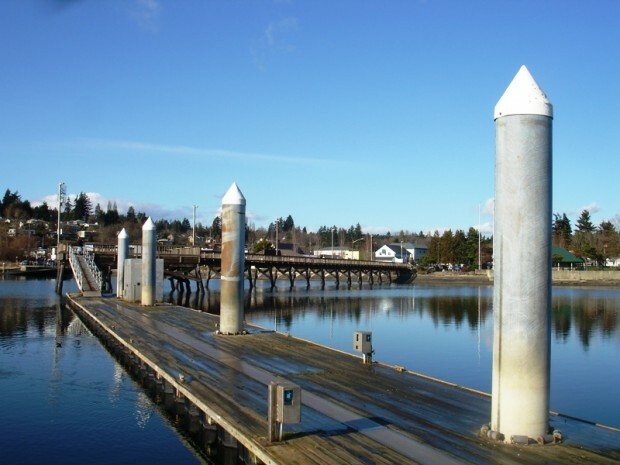 Ever since the Kitsap Mall was opened, Silverdale has grown to become the ‘retail mecca’ of the Kitsap Peninsula. Even with recent retail expansions in Poulsbo, Port Orchard, and Gig Harbor, people still flock from miles around to shop at the Kitsap Mall and surrounding retail big box stores and eat at nearby chain restaurants. It was recently announced that Hale’s Ale House would be opening a new restaurant inside the Kitsap Mall on July 4th weekend. The rumor mill has it that world-renowned salon chain, Gene Juarez, will possibly find a new location within the Kitsap Mall in the near future. With all the chains and big box stores out there, what is Silverdale still lacking? If you had your choice of any retail store or restaurants, what would you like to see come to Silverdale? My beloved No. 1 seed Kansas Jayhawks were sent packing after falling in their second game of the NCAA Tournament to 9th seeded Northern Iowa. And, after some serious arm-twisting and back room pay-offs, President Obama’s National Healthcare Bill was passed and signed into law. Well, at least for the Jayhawks, there’s always next year! On a more positive note, I had the pleasure of attending the Silverdale Chamber of Commerce President’s Luncheon this past Wednesday. As the Vice-President of CSTOCK’s Board of Directors, I’ve recently started attending our Chamber events to network with local businesses. I have to say that newly hired Executive Director Michael Broome is doing an outstanding job of generating positive buzz and organizing meaningful Chamber events. The future of Silverdale’s Chamber is looking very bright! During the luncheon, the Chamber bestowed an “Excellence in Education” award to one of our local educators within the Central Kitsap School District – well-known and well-loved teacher, Bruce Larson. For 36 years, Bruce has been a teacher and basketball coach at Central Kitsap Junior High. He had been commended the night before by the CKSD Board of Directors for his devotion to his students’ academic and athletic success. Throughout his teaching and coaching career, Bruce Larson has demonstrated an unwavering commitment to academic success in the classroom as well as good sportsmanship on the court. His fellow teachers describe him as a positive role model who connects with his students through humor. He understands that lessons taught in the classroom and in competition are tools for future success and works closely with parents to motivate and monitor students progress. I can personally vouch for Coach Larson’s abilities and valued service to our students. As a Father of 3 boys who passed through the hallowed halls of CK Junior High, I observed first-hand the respect and rapport he engendered with students. He also coached my son, Elliot, in basketball during 8th grade. Central Kitsap Schools and our community-at-large is fortunate to have so many gifted educators like Bruce Larson who provide such valued role models and equip our students to excel. A Picture Slideshow of the recent Ribbon-Cutting Ceremony for the New Greaves Way between Clear Creek Road and Old Frontier Road in Silverdale WA. 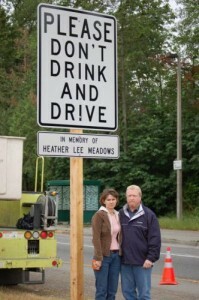 On the morning of March 13, 2005, local CK resident Heather Lee Meadows, daughter of Greg and Leah Meadows, was driving to work with a friend on I-5 just south of Seattle, when a speeding drunk driver entered the freeway using the off ramp, going the wrong way against traffic, and hit her head on. She was killed almost instantly, while her passenger suffered internal injuries, a fractured skull and jaw, as well as long lasting emotional trauma. The drunk driver, Ngere Tambwe Omari, had a long list of prior run-ins with the law. An immigrant from Rwanda, he had entered the U.S. illegally, but was granted amnesty by our government due to the civil war in his country of origin at that time. Just a month earlier, he had been convicted of a DUI, was placed on probation, and had his licensed suspended. At the time of the accident, in addition to a suspended license, he had no insurance, and the car he was driving belonged to someone else. As a result, Omari was convicted of Vehicular Homicide, Vehicular Assault, and 2nd degree driving on Suspended License. He was sentenced to prison for 72 months and a release date of April 27, 2010. During his incarceration, he received extensive medical treatment to repair his crushed femur that he sustained in the crash. His physical therapy, surgery, medications, multiple mental health visits to Western State, and the expense of his translator, attorneys, etc., has cost the taxpayers hundreds of thousands of dollars. He has yet to fulfill any of his court ordered responsibility of paying restitution to any of his claimants. In addition to his jail sentence, there had been an immigration hold placed on him during his incarceration. Upon release, he was to be remanded to the immigration authorities to begin the deportation process. Unbeknownst to the Meadows family, a decision was handed down in the fall of 2009 by the King County courthouse that lifted the immigration hold. When Omari is released from prison this coming April, he will be allowed once again to roam this country freely. Which of our daughters or sons, Mothers or Fathers will be Omari’s next victim?